Blue. Incredibly blue. 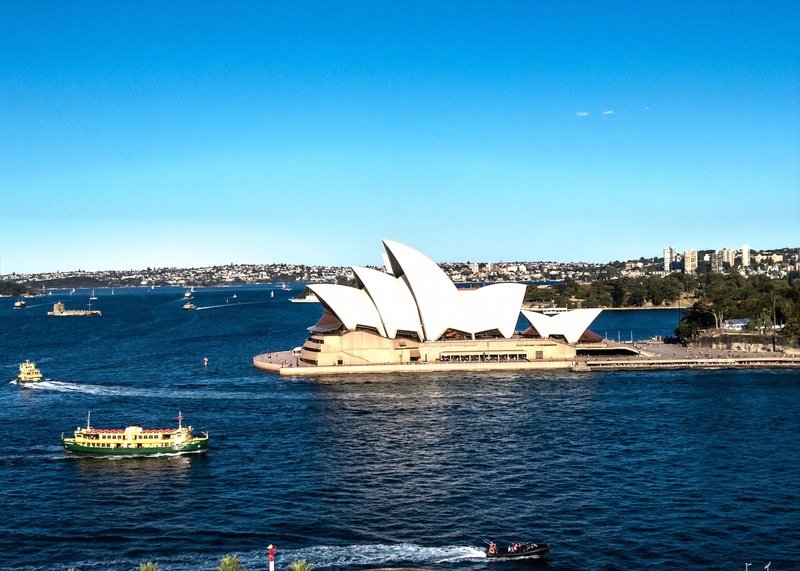 The color of water in Sydney makes you feel like staring at a life size painting. And in between the magnificent waterscape and azure skies, lies a city of skyscrapers, stunning mountains and never-ending coastline. 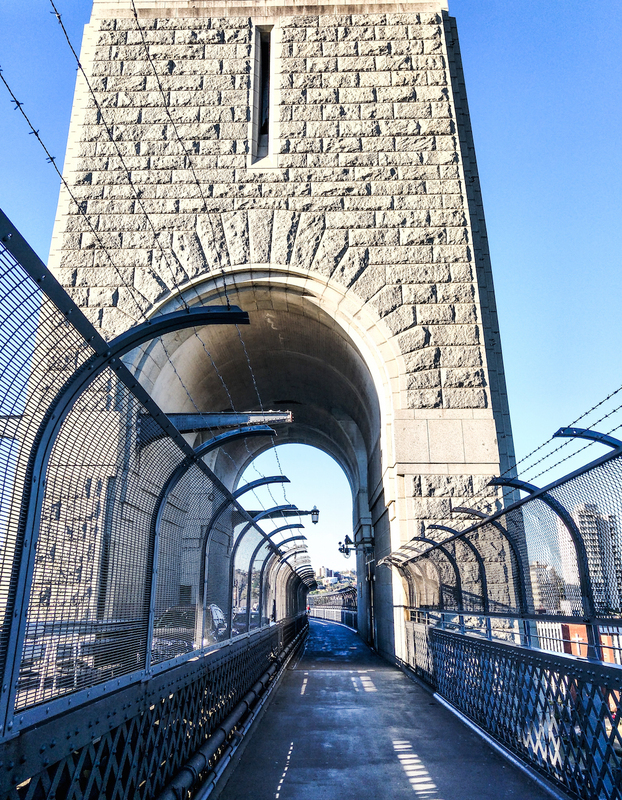 After a long time, along with my friends, I went on a walk across Sydney Harbour Bridge. I had almost forgotten how brilliant the color of water looked, reflecting the sky above. Getting here is very easy by public transport. 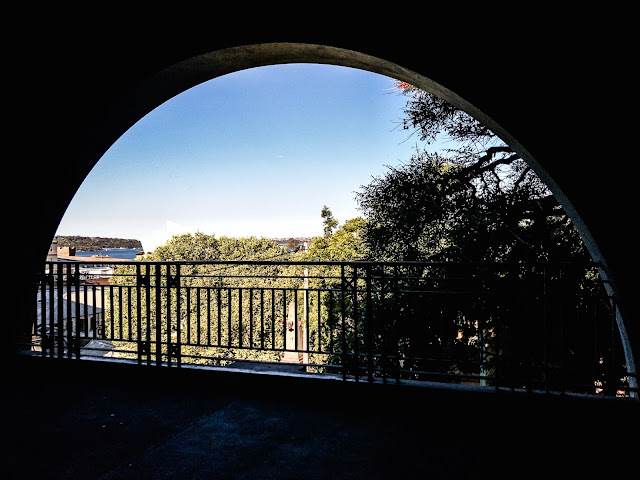 We rode a train to Circular Quay, then made our way towards The Rocks. But not before having a quick bite at Hungry Jacks. After that we followed the sign boards to find the Bridge Stairs in Cumberland Street (The Rocks) that lead to the footpath on the bridge. 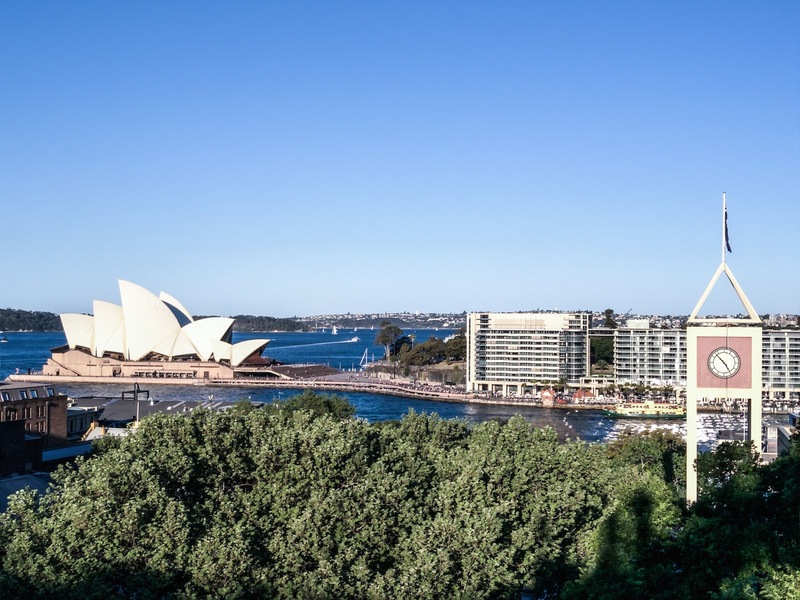 I watched ferries sail past the iconic Opera House, admiring the scene through the barbed wires. The cool breeze brushed away any tiredness that we were feeling. A live traffic runs alongside the footpath, but is divided by tall wire mesh. We walked till the end of the bridge and then made our way back along the same route, taking dozens of pictures and selfies. => Look out for Cahill Walk/Harbour Bridge road signs. Note: This is not a Bridge Climb. This is a walk across the bridge done on a footpath. 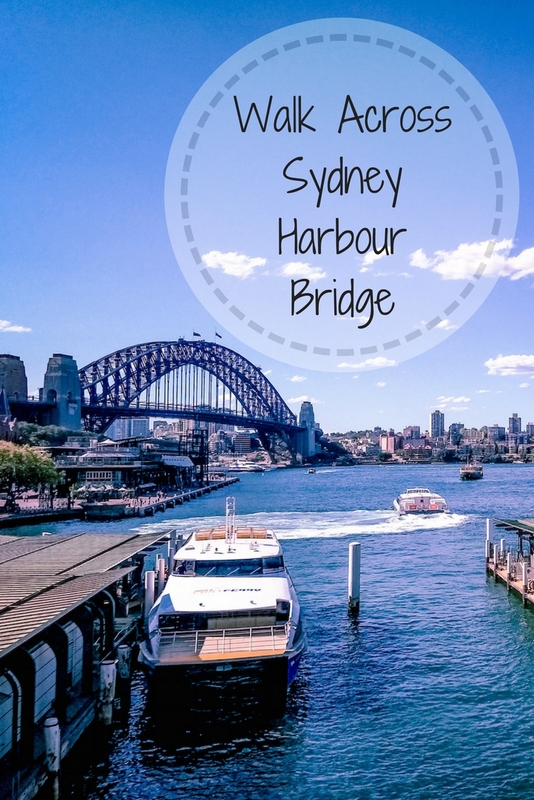 Bridge Climb is another amazing activity you can do in Sydney, but it's not free and cost over AUD 300. Great photos. I'd love to visit Australia! You are right! The color of the water in here is so beautiful. I can spend hours walking around. A bit of a coincidence since this week I posted about Lake Tahoe in California. That place has some beautiful shades of blue too. Beautiful photographs. 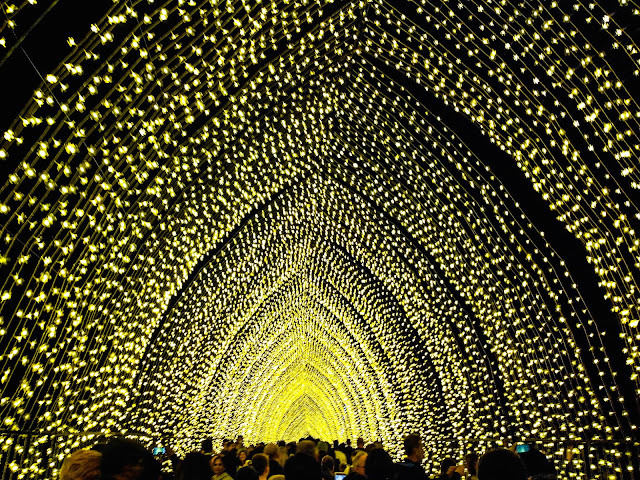 I would very much like to visit Australia. Very nice set of images. I would love to see this in person. Thanks for sharing and have a blessed day. Love how the colour of the sky and water are in sync. Gorgeous captures, as always!! I love the azure blue that reflects on the water! Beautiful iconic structures just adding to the magic! 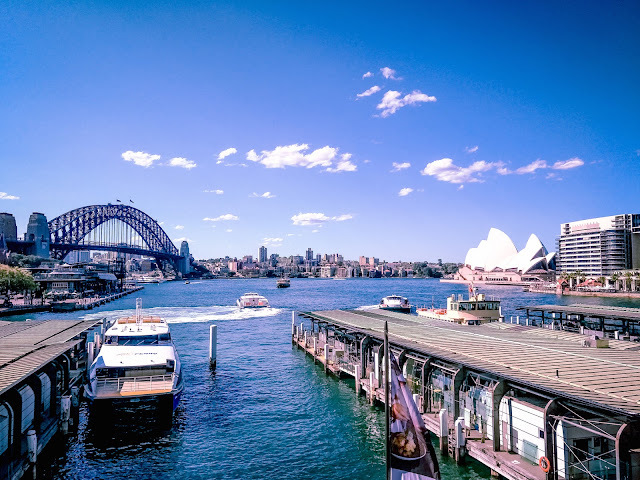 Sydney is so so beautiful and your captures just simply wonderful, Rajlakshmi! Love the geometrics of all these bridges and photos and the blue is magnificent! Great series! Looks like a gorgeous day. This is gorgeous! Love the blue sky and the water too. I would love to take a walk everyday! How wonderful. 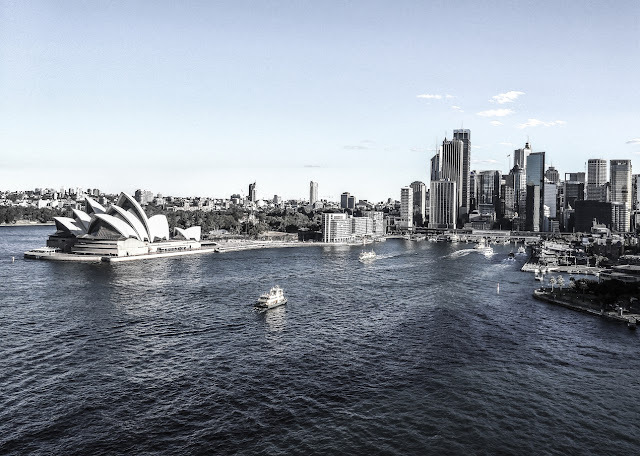 I will always have great memories of Sydney Harbour, the bridge, the opera house...! I've visited Sydney and enjoyed seeing this bridge and other parts of this beautiful city. I do love Sydney Harbour! I so want to visit Australia but we still haven't managed because when we can leave our job here in Italy... it's winter in Australia :( Yet your Sydney post reminded me what I'm missing: I have to do whatever I can to visit! The view of the Opera House from the Sydney Harbour Bridge is amazing. We have family who lived in Sydney but we never got around to visiting. Now they’ve moved to Brisbane, so not sure if we’ll ever get to Sydney! Even though the walk looks beautiful, I've always wanted to 'climb' the Sydney Harbor bridge. Have you done that? Love love love Australia :)! It reminds me of my year of traveling when I was 18. I landed in Sydney and visited the harbour and the Operah house as one of the first things. 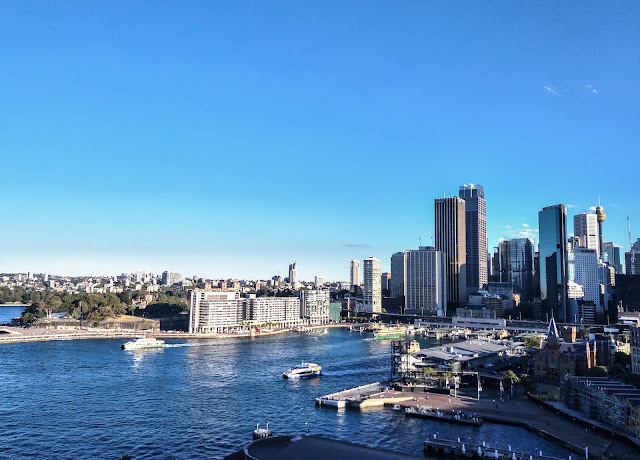 I think Sydney is such a lovely city! this looks still very relaxing :) with the view to look at. The scenery to capture with :) This is so nice. Hello, gorgeous views of Australia. I would love to visit there some day. Lovely series of photos. Happy Friday, enjoy your weekend! Beautiful - this is a city I'd love to visit.